There is no better feeling in the world than tickling your taste buds with delicious food. 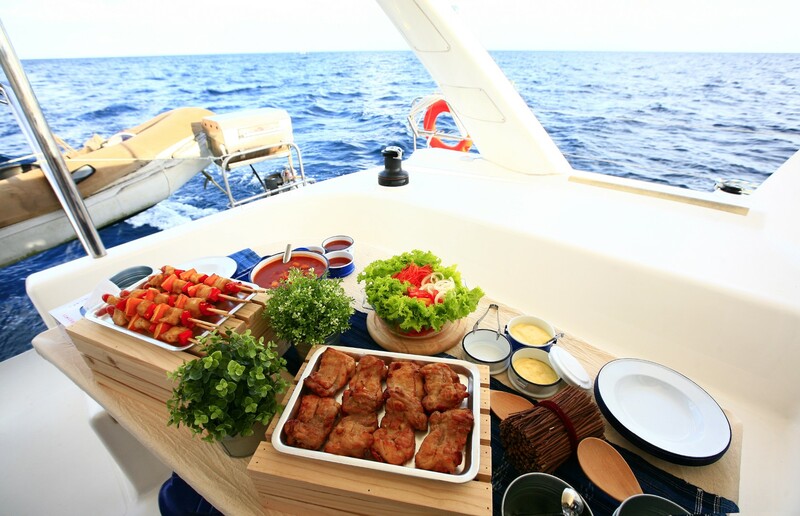 Choose to sail in Spain and you will be amazed by world-famous Spanish cuisine. Here are some traditional dishes you will definitely come across in Spain and the Canaries. A traditional rice dish made with meat or seafood, beans, olive oil, saffron and various vegetables. It is considered to be a national Spanish dish and it originates in the Spanish region of Valencia. Types of paella include Valencian paella, vegetable paella, seafood paella and mixed paella, among many others. 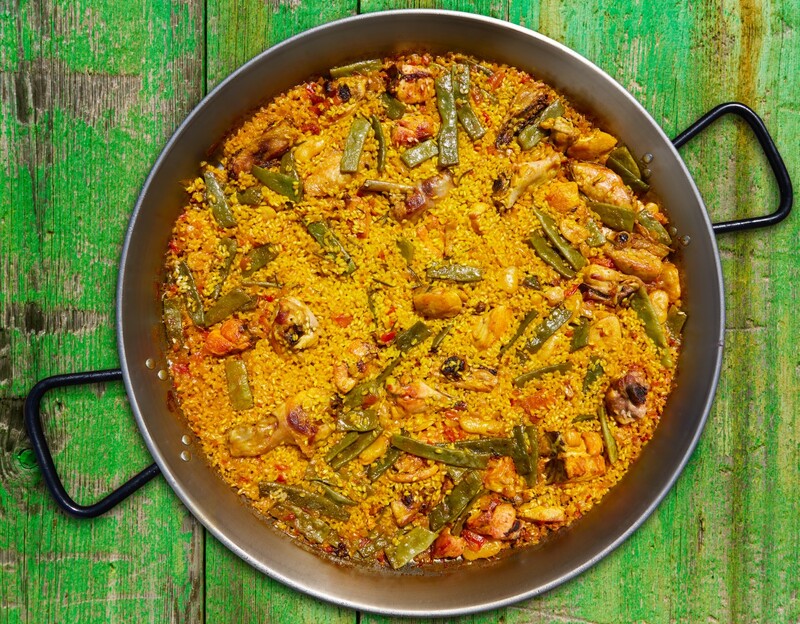 Valencian paella is believed to be the original recipe and it consists of white rice, green beans, meat (chicken, duck and rabbit), white beans, snails, and seasoning such as saffron and rosemary. 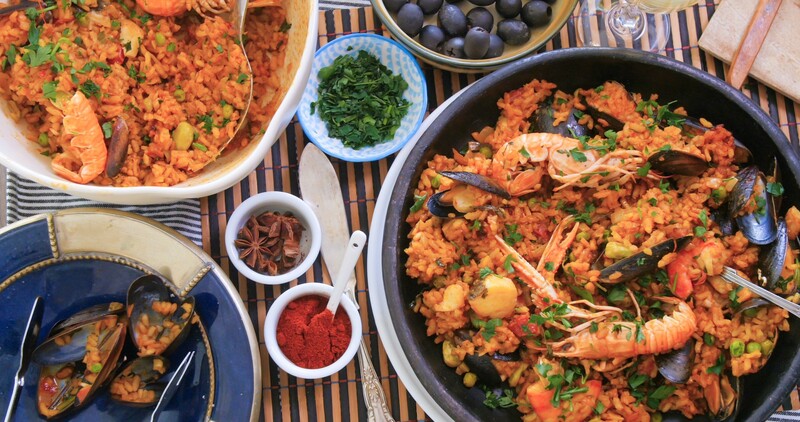 Paella was originally farmers’ and farm labourers’ food and it was traditionally eaten straight from the pan with each person using their own wooden spoon. This explains the name of the dish – ‘la paella’- which is the name for the cooking pan itself and not the dish in old Valentian. There are many paella competitions all over Spain and a giant paella is often the centrepiece for many fiestas. A cold tomato soup with garlic, peppers, cucumber, olive oil, vinegar and herbs. It is usually served as an appetizer, and since it is cold, it is an ideal refreshment for warm summer days. A classic of Spanish cuisine, it originates in the southern region of Andalusia. The original version of the soup was stale bread blended with olive oil and garlic, in conjunction with water or vinegar, pounded in a mortar. It was not until Christopher Columbus brought back tomatoes and green peppers from the New World that gazpacho started to look and taste as we know it today. 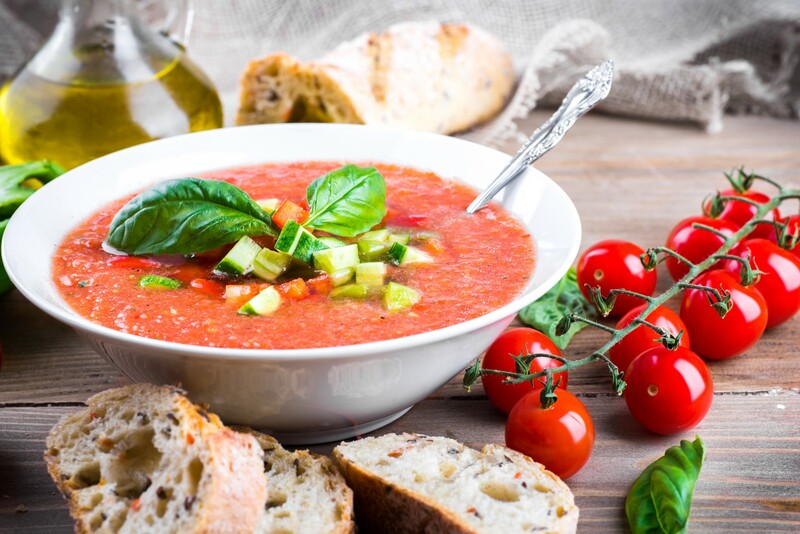 A popular Spanish saying says, “De gazpacho no hay empacho” – there’s never too much gazpacho. A traditional Spanish omelette made out of thinly sliced potatoes, eggs, olive oil, and sometimes onions. This cake-looking tortilla is different from the popular flat Mexican tortilla, and it is certainly a category of its own. It can be served hot or cold, as a meal or as a tapa (appetizer), and it is a popular picnic dish. 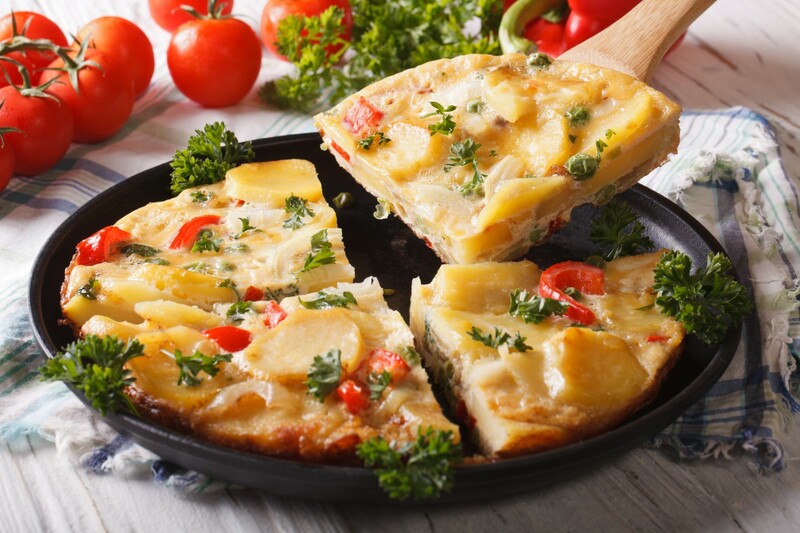 The exact history of tortilla de patatas is unknown, but some say that it originated in Pamplona amongst the poor, who extended two or three eggs by mixing them with potatoes and bread to feed up to six people. You can find tortilla de patatas in any bar in Spain. A thin or thick street-food pastry that is fried until crunchy and then sprinkled with sugar or cinnamon. The history of churros begins in China, where Portuguese merchants first tasted youtiao, strips of golden fried salty pastry. The Portuguese recreated this delicacy, adding sugar rather than salt. 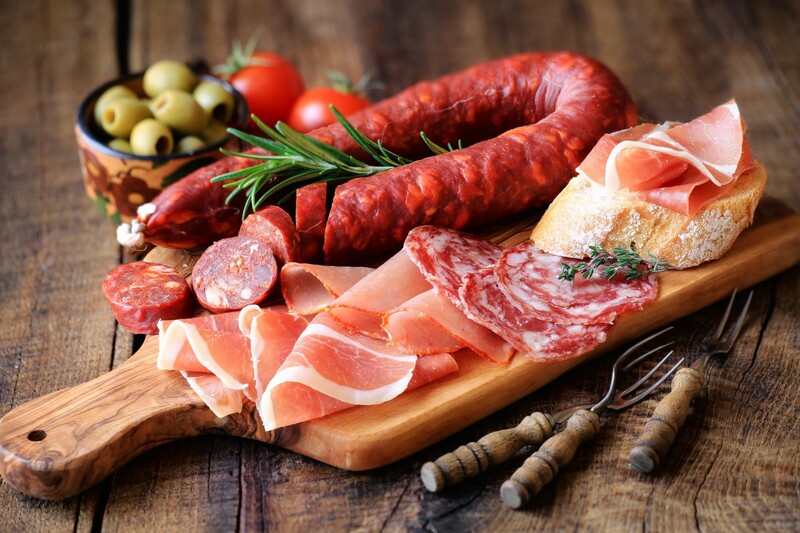 It was Spanish shepherds who popularized the dish in Spain. They worked in the mountains, and for weeks and months at a time they did not have access to fresh bread. Therefore, they used the youtiao idea to cook their own substitute. The churro takes its name from the churra sheep, whose horns it is said to resemble. 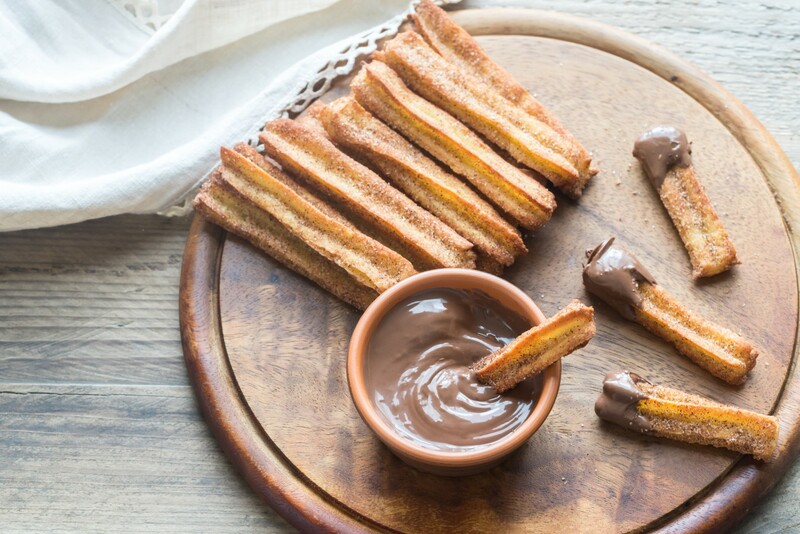 Churros remain popular breakfast, snack and dessert fare throughout Spain. Oval shaped fried rolls made out of food leftovers. Although this dish originates in France (croquettes), croquetas have become a staple of the Spanish kitchen thanks to “cocina de aprovechamento” (cooking with leftovers). Most Spanish homes have their own recipe for croquetas and they love to experiment with different ingredients. Croquetas can be filled with anything, however, the most popular ones are “croquetas de bacalao” (with cod), “croquetas de jamón” (with ham), “croquetas de espinaca” (with spinach) and “croquetas de pollo” (with chicken)”. 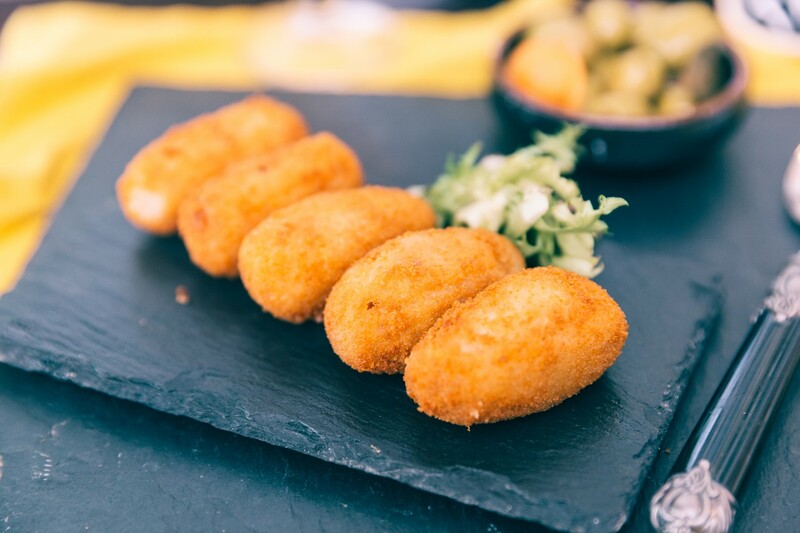 Croquetas are served in most bars and restaurants of Spain, mainly as a tapa (appetizer). Snails. Caracoles are a much loved food in Spain and they are celebrated in dishes like paella. They are considered a tradition as well as a delicacy. 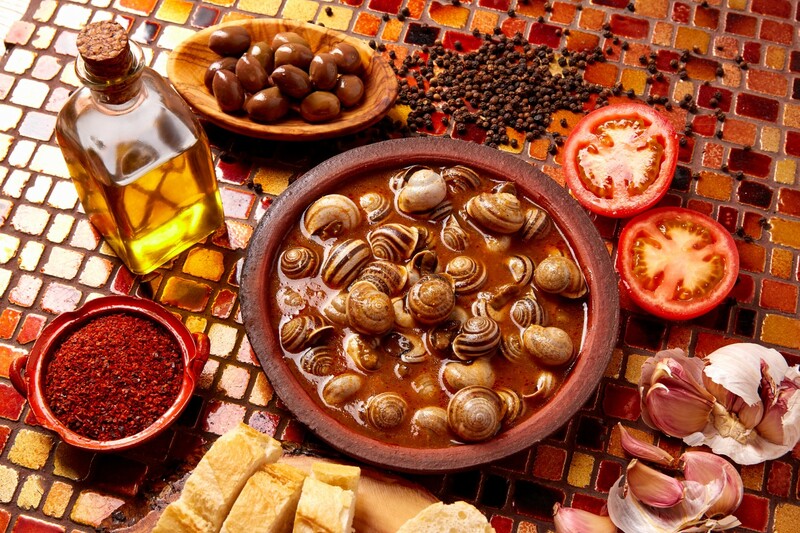 In late spring, snails become the star of many dishes – arroz con caracoles, conejo con caracoles, caracoles en escabeche etc. Caracoles are sold in supermarkets and city markets, and they’re relatively easy to make at home. The season of caracoles is short – mid May to late June, and during those months, the Andalusian capital of Seville bursts with bars that offer caracoles dishes. Cured deep-red pork sausage. Spicy or sweet, short or long, raw or cooked, it can be eaten on its own as a tapa or can be added to other dishes like soups and stews. Traditionally, chorizo is made using pork mince and spices, predominantly paprika. It is encased in natural casings which are made from intestines. Chorizo can also be a fresh sausage, in which case it must be cooked before eating. The small Galician town of Vila de Cruces actually hosts the most famous chorizo festival, which is held every February. Heavy bean stew cooked with bacon, sausages, pork shoulder and saffron. Because it is a heavy dish, it is usually made during winter months. This dish is originally from the northern Spanish region of Asturias, but it has spread all over Spain and it is one of the most important dishes of the Spanish cuisine. 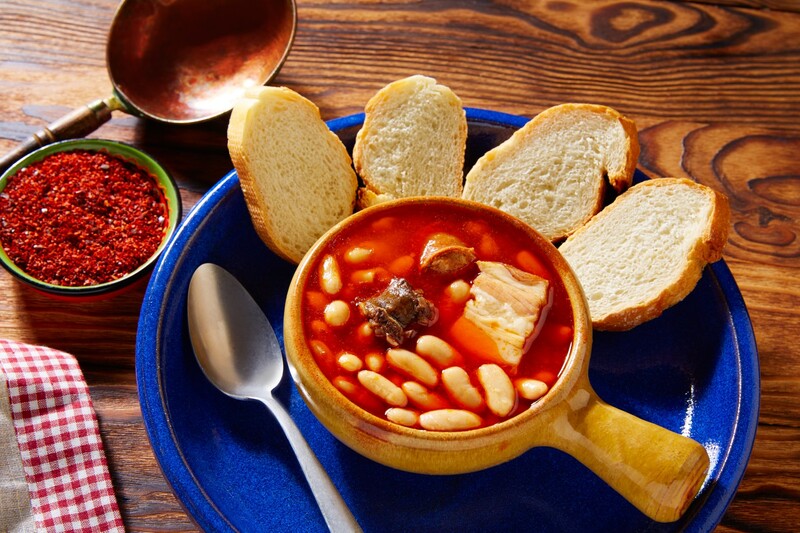 Fabada asturiana is very easy to prepare and the ingredients needed are inexpensive and easy to find. However, you can now buy canned fabada asturiana in every Spanish supermarket. Garlic prawns with olive oil, perhaps the most popular Spanish tapa. This dish is found principally in the south and center of Spain. It can be prepared with or without the shells, depending on the cook. 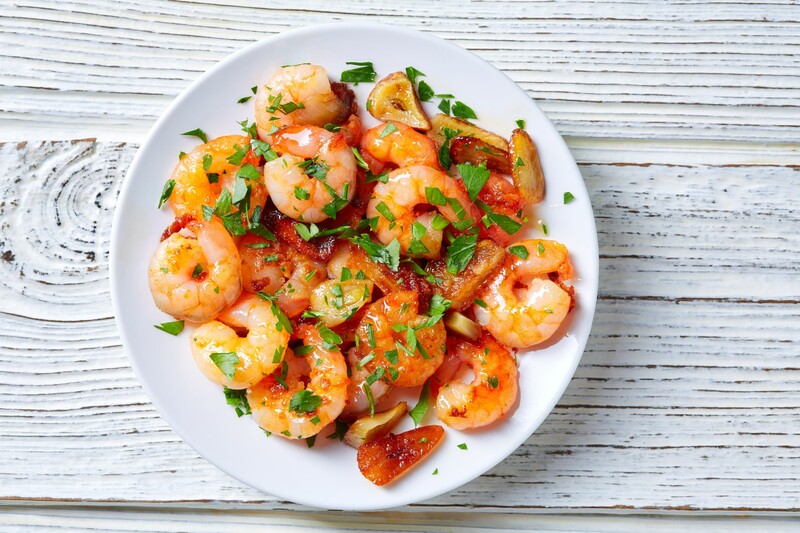 The gambas al ajillo recipe varies throughout Spain, with many regions incorporating local ingredients. In Seville, the dish is prepared with a favorite local sherry, Manzanilla. In other parts of Spain, you will find brandy, sweet paprika, hot peppers, or lemon juice on the list of ingredients. Gambas al ajillo is traditionally served hot in a little metal pan. 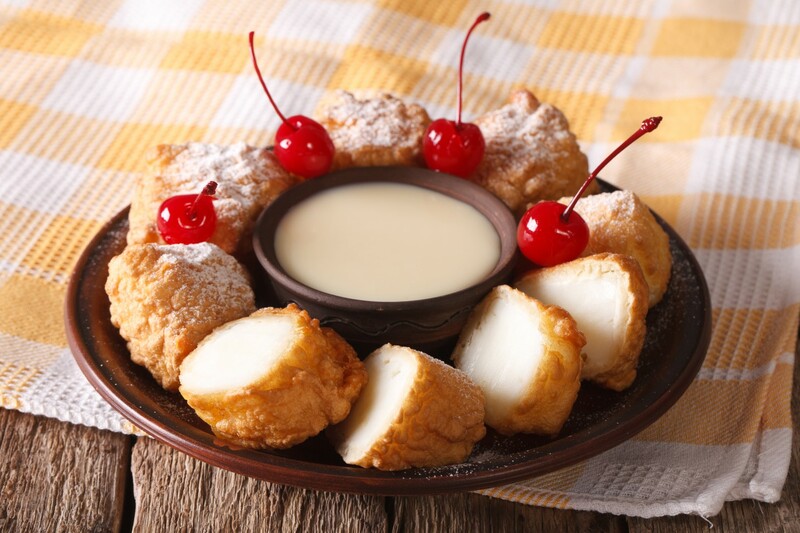 Literally translated as fried milk, leche frita is actually a thick milk pudding that has been dried and fried. Milk is molded into various shapes, topped with sugar cinnamon, cold in the center and warm outside. This is one of the most delicious and popular Spanish desserts, which can be found both in restaurants and pastry shops throughout Spain. It is also a popular street food. The recipe’s origin is uncertain, but it is generally considered to have originated in Province of Palencia. It is especially popular during the Easter week. 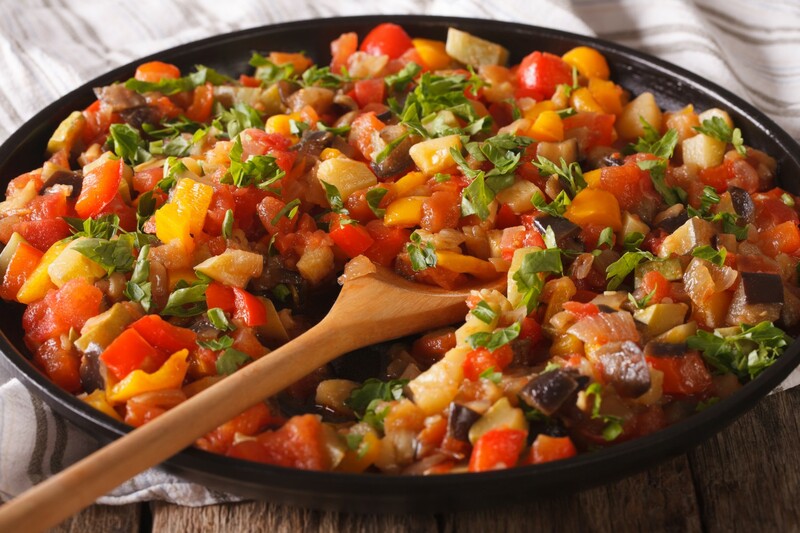 A traditional chopped vegetable dish that puts tomatoes, eggplants, peppers, onions, garlic and olive oil in the mix. A warm starter served with bread, cured ham or a fried egg. This Spanish dish, which resembles ratatouille, originates from the region of Castilla La Mancha. It is usually served as a starter or to accompany another dish, but it is also used as the filling for empanadas. 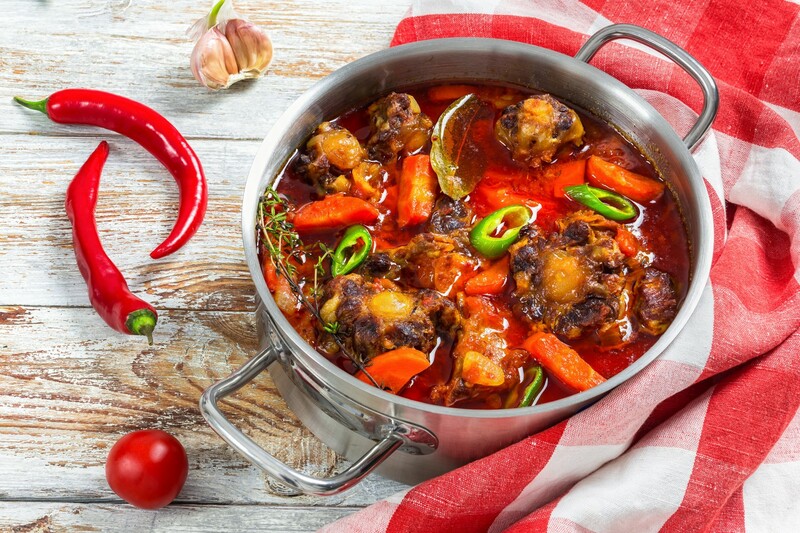 It is believed that pisto has evolved from the dish called alboronía, which was introduced in Spain during the Muslim rule of the Iberian Peninsula (711-1492). It was served at the wedding of the caliph al Ma’mūn and his wife Būrān, and was originally named “al-būrāniyya” in honor of the bride. Boiled octopus. Before boiling, the tentacles are dipped in boiling water to become curly. After boiling, it is seasoned with salt, olive oil and sweet and spicy paprika. Pulpo a feira is a traditional Galician dish served on wooden plates with bread, potatoes and beer or red wine. Tradition dictates that drinking water should not accompany eating an octopus. 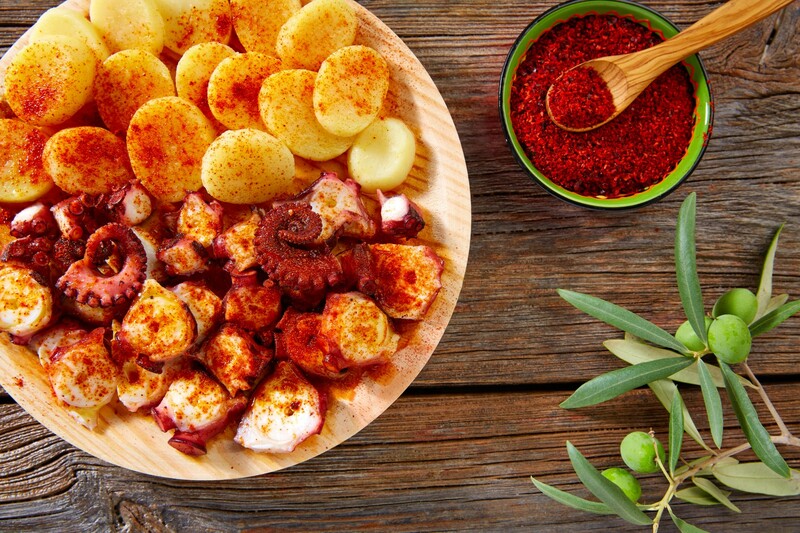 The provinces of Ourense and Lugo have a reputation for good octopus cooking and some Galician cooks specialize in pulpo a feira. It is the main dish during the patron saint festivities of the city of Lugo. Braised bull tail stew is one of Spain’s typical stews, which originated in the 16th century in Cordoba. It is traditionally made after bull fights by cooking a bull tail slowly in red wine and over a low heat, often being served in bars near the bullrings. This dish was originally invented so as not to waste any part of the bull killed in the bullfighting ring. This is the reason why it is more common in southern Spain, which is the home of bullfighting. Rabo de Toro is very popular during the winter months in the colder parts of Spain. It’s easy to make but the meat needs a pretty long braise. A roast suckling pig that has to be completely cleaned inside and out, but kidneys should remain inside. The piglet is then coated in batter and occasionally wine is poured over it during the process of baking in the oven. 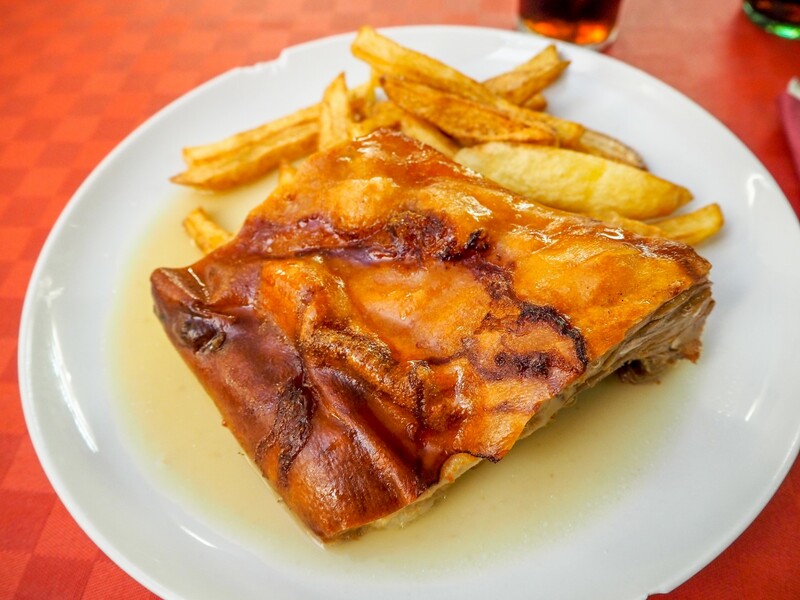 This typically Castilian dish is traditionally prepared in an earthenware pot and served in it, hot with a crispy crust. An apple is usually put on top of the piglet’s mouth as a decoration. It is recommended to combine cochinillo asado with wine. The recipe goes back to the Roman conquest of Hispania. 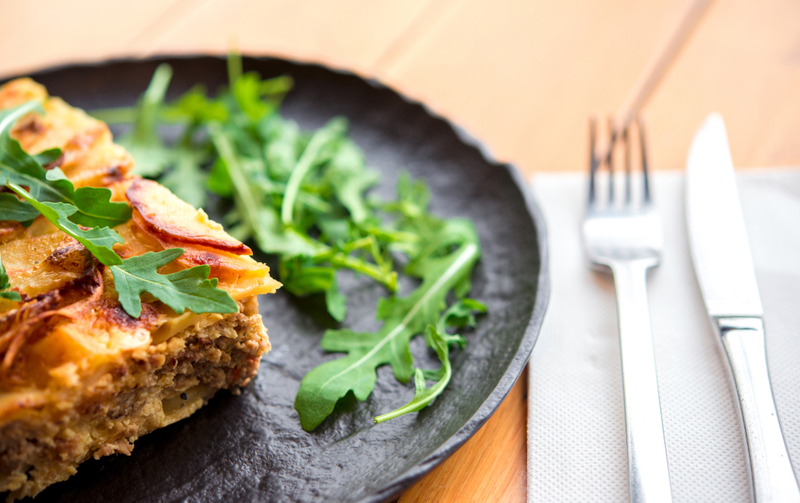 In the 17th century, this dish became popular at bars in the region of Castile. Nowadays, many markets and butcher shops in Spain offer cochinillo asado. A sweet treat made from a mixture of honey, eggs, sugar and toasted almonds. Turrón is a very old, traditional sweet of Moorish (Arabic) origin and much of Spain’s turrón is still made according to traditional recipes and methods. In the town of Jijona, there is a museum of turrón that chronicles the process and history of this delicacy. 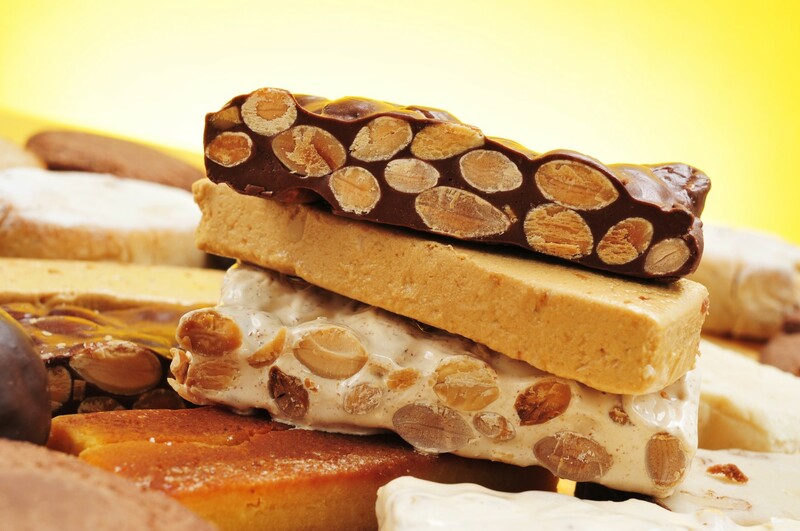 There are two traditional, basic types of turrón: turrón blando or soft turrón, which has the consistency of peanut butter, and turrón duro or hard turrón, which resembles a hard almond nougat candy. This sweet treat is enjoyed throughout the year but is really most popular during the Christmas season in Spain. 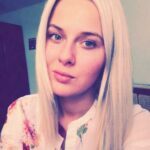 A student of English and Russian, and an occasional writer for the SailingEurope Blog. In love with travelling and always on the lookout for new adventures. A self-proclaimed DJ at friends’ parties. Enjoys cooking and baking.